Powell River Sea Kayak has been in operation since 1995, and our our passion and area of expertise is Desolation Sound. In this time we have provided kayak rentals, lessons, day and multi-day tours into Desolation Sound. Since 2014 we have also owned and operated Cabana Desolation Eco Resort, and running guided and self-guided resort-based accommodation in the heart of Desolation Sound itself. We are a dynamic company, and we have diverse and multi-faceted operations. Our focus is on quality, local knowledge and engaging interpretation, and efficient organization. This fosters a uniquely positive company culture. 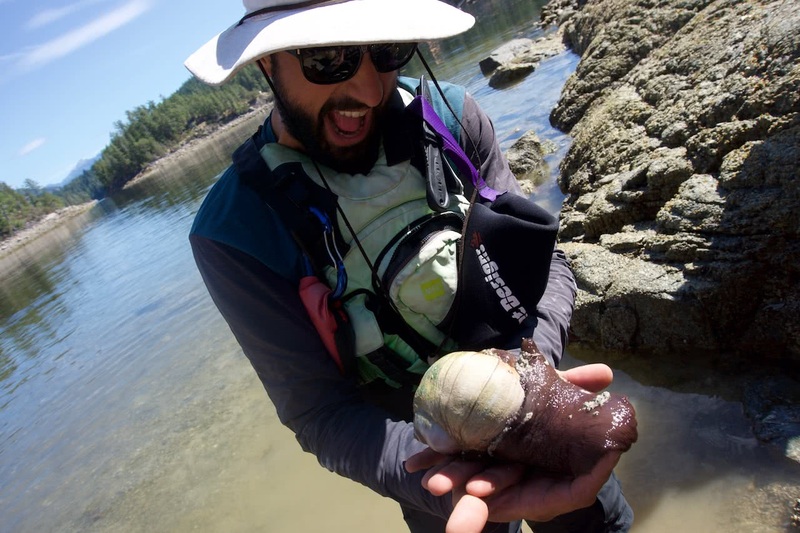 Finally, we are not only passionate about sea kayaking, but also Powell River and the opportunities that exist for exploration and enjoyment in this beautiful corner of British Columbia. Many of our staff live and play in Powell River right throughout the year. Most of our staff return each season due to the positive relationships and work environment that we foster. The launch site for our multi-day and Cabana Desolation Eco Resort tours is on Penrose Bay in Okeover Inlet. This is where we also handle the bulk of our kayak rentals and day tours, as well as kayaking lessons. This private, 8-acre, waterfront property is the perfect spot for kayakers accessing Desolation Sound Marine Park and Desolation Sound. Most of our guests choose to launch from here to begin their kayaking adventure due to its proximity to the marine park and its protection compared to the open Strait of Georgia. Lund is located at the northern end of Highway 101, about 30 minutes drive from Powell River. We have a satellite location here where we run day tours to the Copeland Islands Marine Park and Savary Island. We also have a small rental fleet in Lund for renters to reach Desolation Sound from the Strait of Georgia. Lund swells with tourists in the summer months. It is the last stop for boaters on their way north into Desolation Sound. It is also the only land-based access point for Savary Island. Kinghorn Island in Desolation Sound is the site of Cabana Desolation Eco Resort. We run guided and self-guided resort-based kayaking tours from this location in the heart of Desolation Sound. Guests and staff access the resort by kayak or company motor vessel, and maintenance and staff/guest swap-over days only occur twice a week. Mountain biking in the area is absolutely awesome, and our guides often haul their bikes with them. Powell River is a venue for the annual BC Bike Race which brings hundreds of mountain bikers through town on the circuit each summer, and an army of local volunteers spend countless hours maintaining hundreds of kilometres of trail. If you’re into climbing, you may never want to leave! Multi-pitch granite walls in the Eldred Valley have been featured in climbing magazines and offer unlimited potential for development. Meanwhile the nearby routes at Higgy Land, Stillwater and the Lake Bluffs are great for a day or just a few hours of climbing after work. With the 180 km long Sunshine Coast Trail and countless other options, hiking in the area is endless. You can access countless trailheads within a 20 minute drive from the centre of town. Whether you’re looking for an afternoon stroll or a two week trip, you can find it here! The Sunshine Coast Trail itself is Canada’s longest hut-to-hut hiking trail! Backcountry areas include ridge hikes in elevations of 5000-7000 feet and a couple of back country cabins. It’s all Coast Mountain Range behind Powell River – the backcountry is endless and waiting year round. 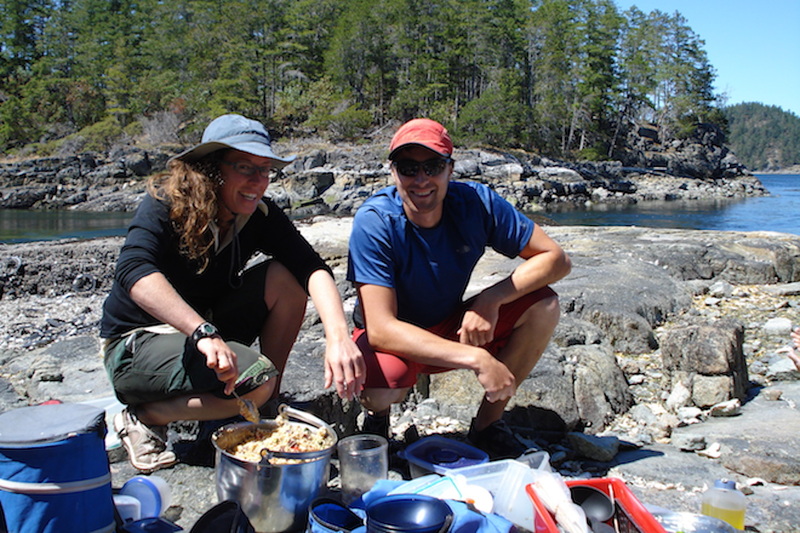 Our Lead Guides mostly lead multi-day camping trips in Desolation Sound. They also lead overnight resort based trips from Cabana Desolation Eco Resort. Our multi-day camping trips run from 3-7 days in length. Lead guides purchase, plan and prepare all meals for their camping tours. During the season we are consistently reaching capacity on our multi-day tours (10 guests, 2 guides). When guiding from the eco resort, dedicated cooks plan and prepare all the meals. Tours to our resort use it as a luxury ‘base camp’. Each day tours radiate in different directions and explore Desolation Sound, and then return to the resort in the afternoon. The first and last days are spent paddling to and from the resort and our office in Okeover Inlet. 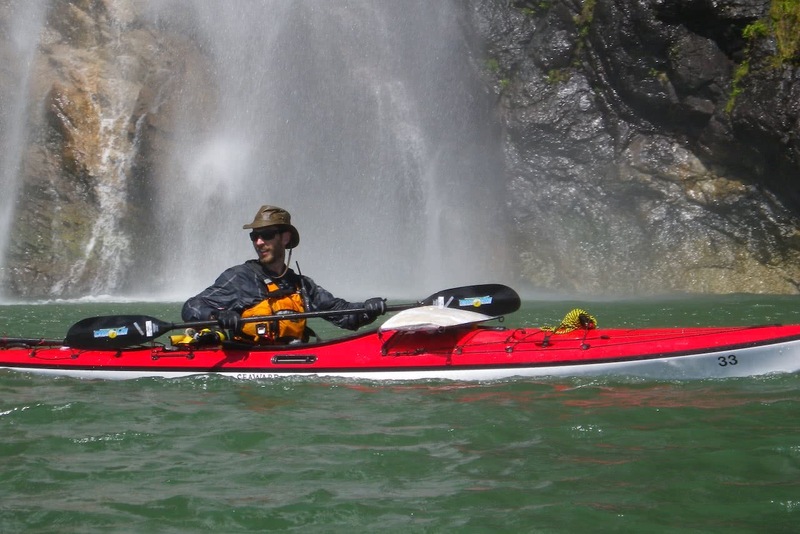 Lead Guides with PRSK are required to be members of the Sea Kayak Guides Alliance of BC. They are required to have completed a Level Two Guides Exam with SKGABC at a minimum. Day Guides lead and assist Day Tour programs from Okeover Inlet and Lund. These tours are either 3 or 7 hours in length and take place in Desolation Sound Marine Park, Copeland Islands Marine Park, and Savary Island. We also run 7 hour combo kayak and snorkel tours in Malaspina Inlet. As well as guiding, day guides plan and prepare a lunch for all our guests for the majority of our day tours. They also prepare for and clean equipment after the tour has ended. Day guiding is a great way to ‘test the water’ in the outdoor tourism industry and gain valuable experience needed to move up to overnight guiding in future seasons. Many of our Day Guides combine this work with the General Operations position to maximize their work during the season as well as gain insight into the inner workings of a busy Sea Kayak touring and rental company. Sales of tours and kayak rentals. Cleaning and maintenance of kayaks. Answering guest phone calls and emails and providing accurate and definitive advice about our operations and tours, Desolation Sound, routes and camping options, kayaking logistics, weather and other considerations. Preparing tour and rental boats and equipment for the following day. Transporting kayaks between our operational locations. Guide support, including gear maintenance and repair, cleaning and washing of boats and equipment, and assistance with basic tour preparation. There is also the potential each season for Day Guides or Assistant Overnight Guides to combine their guiding duties with General Operations Duties in a GO/Guide position. These arrangements are great for individuals looking to take the initial steps towards a career in the outdoor and guiding industry. These positions teach staff the behind-the-scenes operations of a busy sea kayaking company while offering on-water experience and knowledge under the mentorship of more experienced guides. We have over 120 boats and countless pieces of equipment (PFDs, paddles, throw bags, etc) and we pride ourselves on them being of high quality and under regular maintenance. Our Repair and Maintenance position is focused primarily on maintaining our kayaks and equipment so that they are always in top condition. During our peak season we often have 25 or more rental kayaks returning and launching every day, in addition to our regular tours and lessons. Great organizational skills are required to inspect and keep on top of minor repairs so that we can keep our fleet at max capacity throughout the busy season. General maintenance duties include gel coat repairs, replacing buckles and hatch covers, rudder cables and foot pedal adjustment and repair, some basic fibreglass repair, bulkhead replacements, and many other assorted repairs to kayaks, equipment, and infrastructure at our launch site. Cabana Desolation Eco Resort has two Head Cooks working on a rotational basis from late May-September each year. Despite being remote, we have a full commercial kitchen that is capable of preparing meals for 12 people or more. The kitchen is complete with propane refrigerator and stove, commercial sink, and solar powered power outlets and LED lighting. The natural cedar kitchen and dining area, nestled amongst the rainforest on our uninhabited island, is a far cry from traditional commercial kitchens! We focus on creating healthy, vibrant, creative meals from fresh and locally sourced ingredients. We use a set-menu created and tweaked each season, that leaves room for personal creativity and variety. Almost everything is created from scratch on site. The majority of our ingredients are purchased by the head cook before each trip and transported to Kinghorn Island on our company motor vessel with our staff changeovers. Please email your resume and a cover letter to: info@bcseakayak.com.